Suzuki Motorcycle India Private Limited (SMIPL), a subsidiary of one of the world’s leading two-wheeler manufacturers Suzuki Motor Corporation, Japan, today launched the Suzuki Gixxer Rear Disc variant at Amanora Town Centre, Pune on the occasion of ‘Gixxer Day’ which was energized by international Freestyle rider and Red Bull athlete, Aras Gibieza and his skilful bike performance. 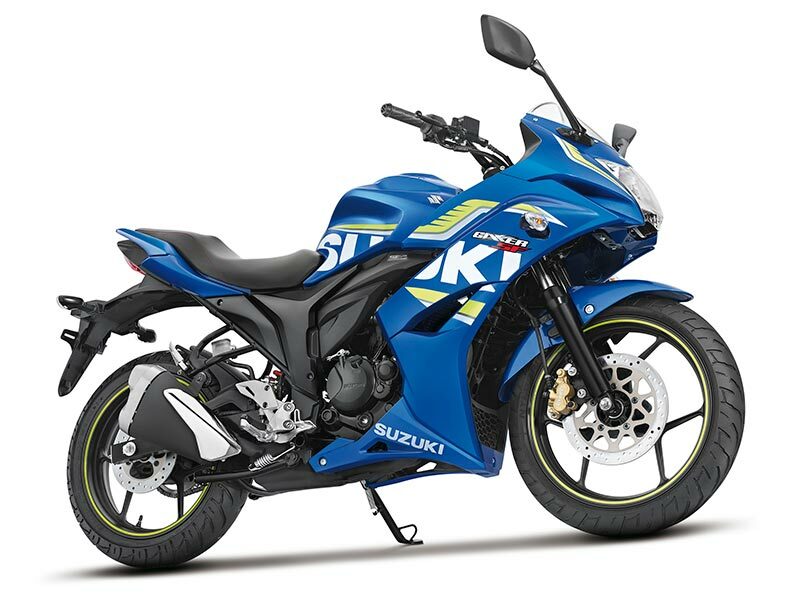 The Gixxer carries the lineage of the legendary GSX-R series, and the new variant with the rear disc brake will now be available in Pune market. The new addition will provide better stability and control on all kinds of terrain. Suzuki Gixxer Day is a gathering of Suzuki Gixxer and Gixxer SF owners to celebrate the spirit of the hugely successful Street Sport Bike, while being entertained by the world class performance of the Freestyle Champion and Red Bull athlete, Aras, in addition to other performers and entertainers, lucky draws and contests for all participants. Gixxer Day is a pan – India event and ended on an exciting note in Pune today. SMIPL also used this opportunity to strengthen their #amGixxer campaign, where they have created a community of like-minded Gixxer customers, fans and enthusiasts. This community shall provide a platform to host various activities across the country, mainly moderated via the digital medium of facebook and social media. Gixxer Day and a dedicated ‘amGixxer’ facebook page are the first of such community activities to be taken up under the #amGixxer campaign. 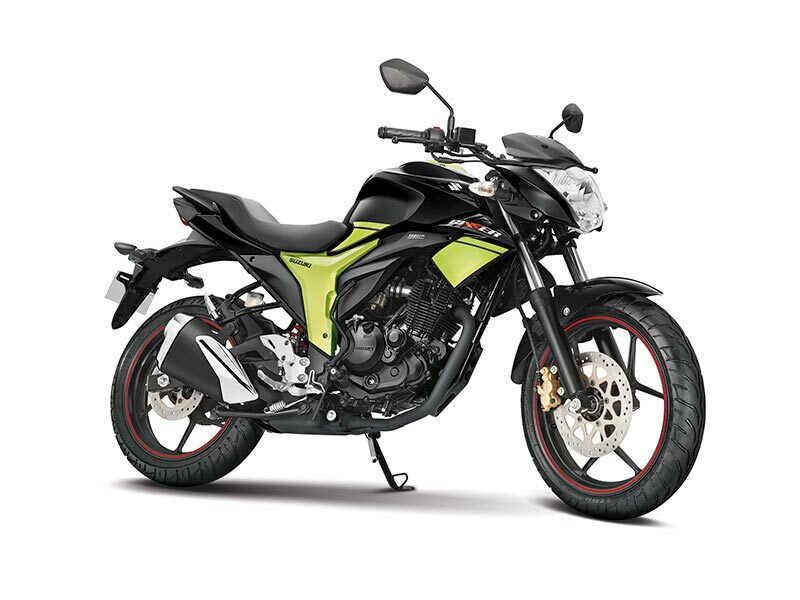 The Suzuki Gixxer is available with the Rear Disc Brake as an option in the following colours – Lush Green / Glass Sparkle Black, Metallic Triton Blue / Pearl Mirage White and Candy Sonoma Red / Glass Sparkle Black – and is priced at Rs. 80,763 (Ex-Showroom, Pune). The Gixxer SF will sport the Rear Disc Brake as standard in the following colours – Pearl Mirage Red and Glass Sparkle Black – and is priced at Rs. 88,380 (Ex-Showroom, Pune) whereas the MotoGP Edition (Metallic Triton Blue) with Rear Disc Brake will be priced at Rs. 89,894 (Ex-Showroom, Pune).